Whiplash – Why Does it Happen? Whiplash injuries are most commonly associated with motor vehicle collisions (MVC), although they can happen from anything that results in a sudden movement of the head—from slip and fall injuries, carnival rides, sports-related injuries, and more. When associated with MVCs, the terms “acceleration/deceleration injury” or “whiplash associated disorders (WAD)” are often applied, depending on the direction of the collision. When the striking vehicle rear-ends the target vehicle, the term “acceleration/deceleration injury” is used. WAD encompasses all scenarios and also includes the type and extent of injury. The degree of injury has been broken down into four main categories with the least amount of injury = WAD I, and the worst soft tissue injury category as WAD III. Fractures are covered separately in the WAD IV category. It has been found that the more severe the soft tissue injury (WAD III > WAD II > WAD I), the worse the prognosis, or the greater the likelihood of long-term injury-related residual problems. The degree of injury is affected by all the items previously listed above and more. For example, if the headrest is more than two inches (~5 cm) away from the back of the head, and/or if “ramping” occurs and the head “misses” the headrest, hyper-extension can result and the soft tissues in the front of the neck can become over-stretched and/or the back of the neck can become over-compressed. 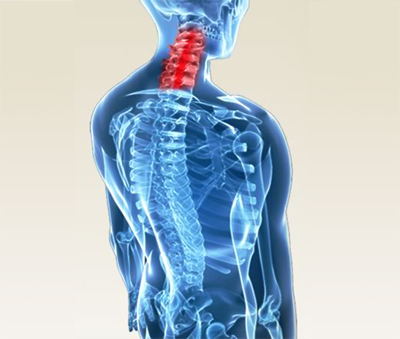 Or if the rebound phase into flexion exceeds the tissue capacities, the back part of the neck can become over-stretched and the front part over-compressed. Previous PostPrevious The Mysteries of Low Back Pain!